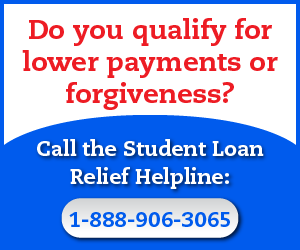 Do You Qualify for a Great Lakes Loan Forgiveness, Refund or Discharge? 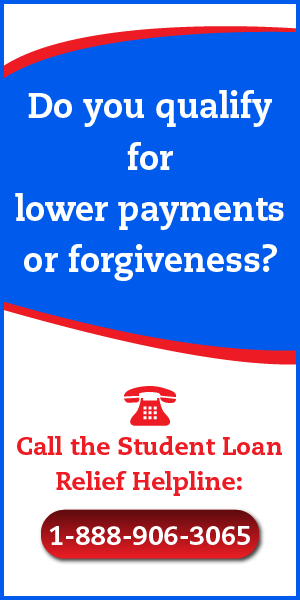 Do you have a student loan being currently serviced by Great Lakes? If you do, I’ve got some great news. 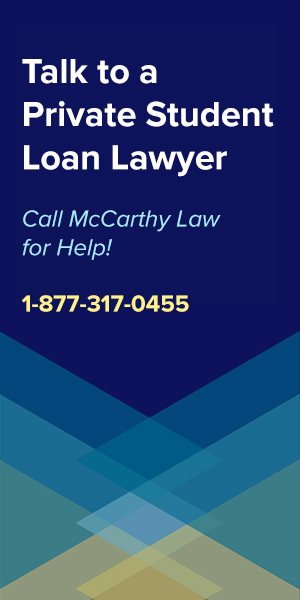 You may be eligible to have your loan eliminated entirely via the Borrower’s Defense to Repayment Program, which is a program set up by the US Government to help borrowers get rid of debt when they’ve been lied to, defrauded, or treated illegally in some way. This program is 100% legitimate, offered and backed by the United States Government, and NOT one of the common Student Loan Forgiveness Scams which have become so common in recent years. In fact, Borrower’s Defense Against Repayment is the single most powerful Federal Student Loan Forgiveness Program that exists, as it allows you to completely eliminate outstanding debt, plus potentially qualify for refunds for any money you’ve already paid out on your loans, which is why I highly recommend that you pay close attention to how it works! In this post, I’ll explain how you can get your Great Lakes loan forgiven via the Borrowers Defense Program (BDAR), and I’ll explain what you need to do to fill out your application for a discharge to increase the odds that your application gets approved! 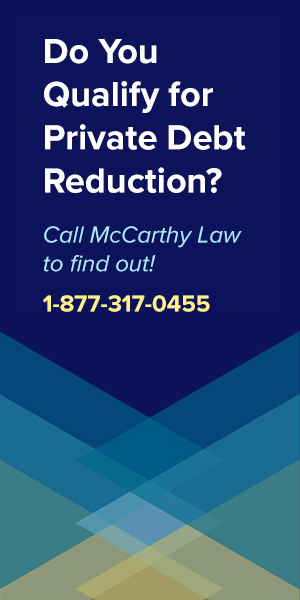 How Does the Borrower’s Defense to Repayment Program Work? The Borrower’s Defense Against Repayment Program (BDAR) was created to help people who have been defrauded by their schools eliminate the debt that never should have existed in the first place. What’s that mean? BDAR allows you to apply for a discharge if you can prove that the school you borrowed money from has committed fraud against you. To apply for a BDAR discharge, all you need to do is fill out a bit of paperwork (the official BDAR Application), which will be submitted to the Department of Education. Someone at DOE will then review your claim and determine whether or not you deserve a complete discharge, or a partial discharge, and then they will inform you of their decision. 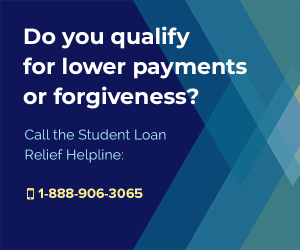 If your application is approved, you can receive 100% loan forgiveness benefits (wiping out whatever you still owe), and you may even qualify for a refund for any payments you’ve already made toward the balance of your loan. To qualify for a Great Lakes debt discharge, you need to prove that the school you borrowed money to attend made false promises to you, false advertised to you, over-promised and under-delivered benefits, statistics, or costs, or committed some other illegal or fraudulent behavior against you, which convinced you that borrowing money to attend their school was a good idea. 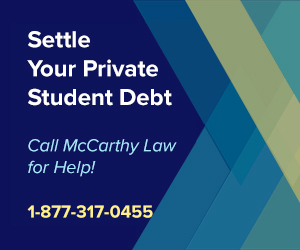 Basically, you have to prove that the school tricked you into taking out money to attend their education program, and if you can do that, you can qualify to have your loan entirely forgiven. Tons of schools has been accused of committing fraud, and tons have had massive lawsuits filed against them, and if you attended one of those schools, your BDAR process will be much easier. The Great Lakes Higher Education Corporation, headquartered in Madison, Wisconsin, is one of the biggest loan servicers in the United States, handling not only federal student loans, but also private loans as well. Great Lakes isn’t just big, they’re absolutely enormous. According to their own website, they work with over 1,000 schools, more than 6,000 lenders, and more than 10,000,000 borrowers. This is an absolutely gigantic company, managing over $51 BILLION dollars in student loans under the Federal Family Education Loan Program. Why am I pointing out how big they are? Because I want you to know that if they’ve wronged you in some way, you shouldn’t feel bad about pursuing a student loan discharge against them, as you’re not going to be putting them out of business. In fact, even if Great Lakes is forced to eliminate your debt, and provide you with refunds for all the payments that you’ve already made, they’re such a big company that they won’t even notice, so you shouldn’t feel bad about trying to get your loans forgiven. And, while we’re at it, you should also know that you’re not the only one who’s had trouble with Great Lakes. The web is full of complaints and problems associated with this company, so you shouldn’t feel alone or be afraid to add your voice to the mix. Why Am I Pointing Out These Issues? Because I don’t want you to feel bad pursuing a BDAR Discharge against Great Lakes! While I’m sure that they’ve provided excellent service to millions of customers, I’m also aware that thousands or perhaps even tens of thousands of borrowers have had problems managing their Great Lakes loans, and the evidence for that is scattered all over the web. Thousands of people have gone online to complain about things that Great Lakes did to them, going into extreme detail about how terribly they were treated, how incompetent some of the Great Lakes employees were, or how the company outright lied to them or scammed them in some way. Borrowers only thought they were on Auto Pay – Auto Pay is just what it sounds like, an automatic payment program. The way it should work is that Great Lakes turns on Auto Pay, gives borrowers a 0.25% reduction in their interest rate, and then withdraws the money for each monthly payment automatically. Unfortunately for some borrowers, Great Lakes turned off Auto Pay without their knowledge or consent. This caused the borrowers to miss a payment and lose the 0.25% interest rate reduction. In certain cases, this could have made a student loan far more expensive than it should have been. Loan payments weren’t always applied to the right loan – Borrowers who paid more than the required payment amount expected that the extra amount would be applied to the loan with the highest interest rate. Unfortunately, in some cases, Great Lakes didn’t do that. One person even thought he was paying off a certain loan in full only to find out that the payments had been applied to another loan entirely, and of course, the way it worked out was better for Great Lakes, and way worse for him! 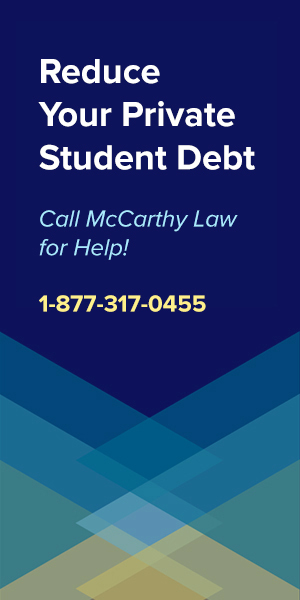 Delays in processing income-driven repayment plan applications – Certain student loan forgiveness programs require borrowers to be on an Income-Based Student Loan Repayment Plan. Unfortunately, in some cases, Great Lakes didn’t just take too long to process the applications, but they ignored them completely! Some people even applied for an IBR plan more than once hoping this would do the trick, but literally never heard back from Great Lakes, who is obligated by law to process these applications and get their borrowers enrolled in the related IBR Payment Plans in a timely fashion. Borrowers were mistakenly placed on the wrong payment plan – Borrowers on a tight budget who had chosen a particular payment plan because it best suited their needs sometimes found that Great Lakes had put them on the wrong payment plan, significantly increasing their monthly payments, or the total outstanding balance of their loans! Several documented cases have shown that Great Lakes changed borrower’s payment plans without having been requested to make the change, and without even informing the borrowers that their plans were altered. 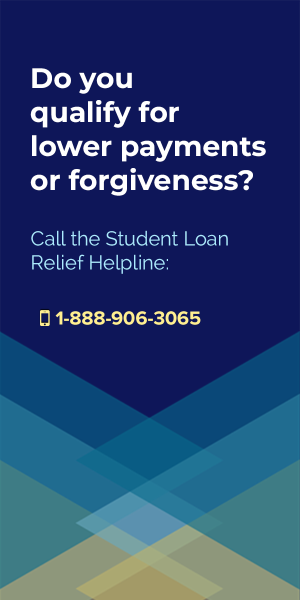 Great Lakes went after people who didn’t even have a loan – In a few rare cases, Student Loan Debt Collection Agencies working for Great Lakes contacted people demanding that they make payments toward a loan which never even existed in the first place. How this happened is a complete mystery, but it occured enough times that there are several complaints lodged online against Great Lakes for doing this, and it’s highly illegal (not ot mention immoral) behavior. Great Lakes reported incorrect information to credit agencies – Great Lakes has also been shown to have reported borrowers to credit agencies even though their accounts were not delinquent, causing credit scores to decrease, This is obviously a problem, as credit scores are used to determine availability for new loans, access to financially-sensitive (often high-paying) jobs, and approvals for renting apartments or homes. Amanda Lawson-Ross is one borrower who was negatively impacted by Great Lakes’s controversial student loan servicing. Regarding her student loans, Amanda was on top of things. She had done her research and knew that the Public Service Loan Forgiveness (PSLF) Program entitled her to receive student loan forgiveness after making only 10 years of payments if she worked for either the US government or a non-profit. She checked the details of the program, reviewed her specific case and determind that she would qualify for the benefit, took care of all her paperwork even asked Great Lakes several times if everything was on track for her to receive loan forgiveness. They assured her that it was. But then,, she found out that it wasn’t. After four years of making payments, Great Lakes told her that not all of the loans she was paying on would qualify for the Public Service Loan Forgiveness program. If she wanted them all to qualify she would need to consolidate the loans and start over again from scratch. In other words, she was facing 10 more years of loan payments! So, in October of 2017 she filed a lawsuit against Great Lakes accusing them of giving her false information about the eligibility of her loans for the Public Service Loan Forgiveness program. Sadly, this is not an unusual case and here’s why the lawsuit is important: this is the type of evidence that can be used for you to file your own lawsuit against Great Lakes, as it’s a clear indication of how they’ve grossly failed to properly inform borrowers about the requirements of PSLF, basically costing them tens of thousands of dollars with their negligence. Where Can I File My Borrower’s Defense Claim? To apply for the Borrower’s Defense Program you’ll need to go through this wizard on the official US government website for BDAR. Whatever you do, don’t file your claim anywhere else! There are a lot of scammers out there who promise all sorts of things, like that they can get your claim approved faster, guarantee it’ll work, etc., but these are all lies! The Official US Government Website set up for the BDAR program is the only place you should apply for it! Where Can I Check the Status of My Application? Your loan servicer is the one who processes the Borrower’s Defense application, which means things could get a little awkward between you and Great Lakes, considering that they’ll be reviewing your claim against them. But don’t worry, because BDAR is a legal process and Great Lakes will have to follow the law by processing your application properly, then submit it to the Department of Education on your behalf, who will review and determine whether or not you deserve that discharge. Unfortunately, Borrower’s Defense applications are taking forever to be reviewed by the Department of Education, partly because our Secretary of Education Betsy DeVos hates this program with a passion, and has been trying to kill it for some time. Fortunately, she hasn’t gotten away with her agenda yet, and there’s still time for you to fill out an application, submit it, and get in line to have it reviewed. Even if the BDAR Program is eliminated before your application is approved, you should be grandfathered in and be eligible for the discharge anyway, so get your application in as soon as possible! 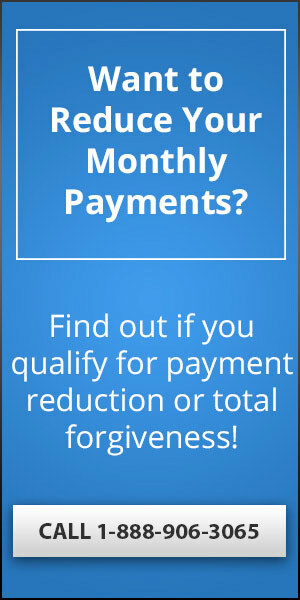 Will I Owe Taxes on Forgiven Debt? Let’s say that you receive $100,000 worth of loan forgiveness through BDAR. You will need to include that $100,000 on your next years IRS Tax Filing, and If your income tax rate is 30%, that means that you’ll now owe the IRS $30,000. The worst part about this is that the IRS doesn’t offer convenient monthly payment plans – they like to be paid in one lump sum, all up front. Who has that kind of money sitting around? Nobody struggling with the burden of student loan debt is going to have that kind of cash on hand, which is why I’ve set up a new website called Forget Tax Debt to help people figure out how they can eliminate or reduce IRS debt, just like I do here for student loans. If you’re having trouble with the IRS, then be sure to visit Forget Tax Debt, and consider starting at the following pages: Get a Fresh Start With The IRS, How To File And Pay IRS Back Taxes, IRS Tax Debt Settlements and How to Discharge IRS Tax Debt. Where Else Can I Ask Questions? 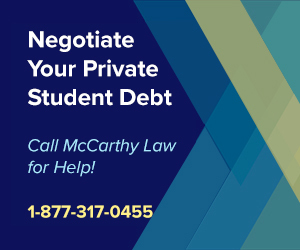 For questions on any topic related to student loans, there’s a good chance that other pages of my site cover it in detail, as I’ve built out sections for both Federal and Private loans. 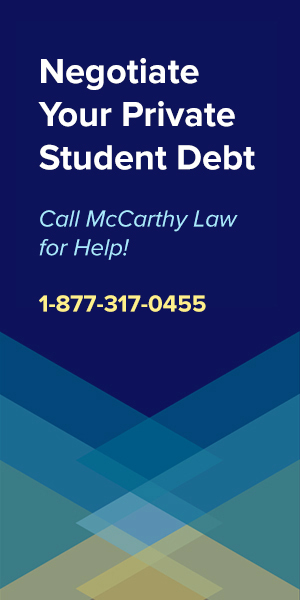 To get Help with Federal Loans, check out my pages on Federal Student Loan Forgiveness, Student Loan Bankruptcy Discharges, Student Loan Delinquency, Student Loan Rehabilitation, and Student Loan Wage Garnishments. And for Help with Private Loans, visit my pages about Private Student Loan Forgiveness, Private Student Loan Consolidation, Private Student Loan Bankruptcy Discharges and Private Student Loan Defaults. Finally, if you have any other questions, please post them in the Comments section below and I’ll get you a response as quickly as possible. Thank you so much for visiting my site, and if this page helped you out, please consider sharing it on Social Media or emailing it to your friends, family members or coworkers. My husband was forced into a consolidation that cause led him to erase 45 payments off of his ability to apply for loan forgiveness. We had greatlakes at the time. They also tried to make us believe that he was on the right track for loan forgiveness when they had no idea if he even qualified for the program. Does greatlakes do student loan consolidation? What do you mean “forced”, and how could it “erase 45 payments”? All the Servicers do consolidations of some sort.